Hornplayer.net founder and long time administrator Robin Moffatt has turned over control and administration of his popular site to the International Horn Society. 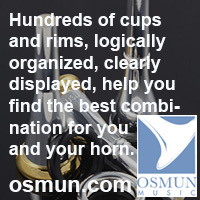 Online since 1996, the site was famous for its Teachers Database, Section Listings of many ensembles from throughout the world, the Information Archive gleaned from years of posts on the horn mailing lists and most especially for the Free Classified Ads featuring only horns and horn related merchandise. The IHS assumed control of the existing site on August 18, 2011. All of the content and services of hornplayer.net have been incorporated into the IHS website, under the same policies as before, and may be accessed through the "Hornplayer.net" menu on the left. The IHS wish to express their gratitude to Robin Moffatt for his many years of service to the horn world through his website, and to thank him for allowing the Society to continue that service.